Pestbusters have many years experience in all aspects of pest control and rodent control in Bristol, the South West and the surrounding areas. 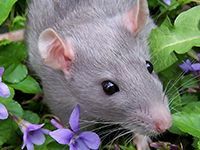 We are experts in vermin control, rat control, bird control, insect control and rodent control throughout Bristol, Somerset and the Avon district. Our 24 hours a day, 7 days a week service means that we are always available for your pest control needs. Pestbusters provide pest control services for private home owners, commercial businesses, retailers, and factories across Bristol and further afield. From restaurants and hotels to schools, leisure centres and large retail units, Pestbusters have done it all and helped eradicate pests from numerous premises in the South West region. We are a Midland based company but we operate throughout the UK providing high quality pest control services that gets results. We work on pest control problems of all shapes and sizes and we will work with you to ensure that your pest problem is eradicated. 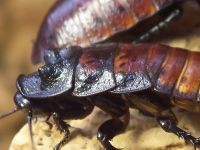 Pest infestations at your home or your business can be ecologically damaging, cause health problems and lose you customers so if you identify a pest problem in your property then please do not hesitate to contact us. The sooner you act the sooner we can put an end to the problem for you. With some pest infestations it can be difficult to locate the source but this is not an issue for Pestbusters. 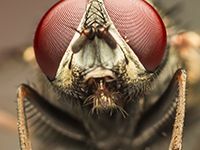 We are used to working in areas which are awkward to get to and, with the use of the latest equipment and products, we can solve pest control problems no matter how difficult they may seem to be. 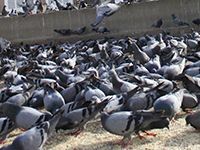 We will always find a solution that works for your specific problem and we are happy to give you free advice on how to avoid pest infestations in the future. Bristol is regarded as the commercial and cultural centre of the South West of England. Well known for its port and seafaring history, in more recent times Bristol has become well known for its strong hi-tech and aerospace industries. BAE Systems, Airbus and Rolls Royce are all located in the area and there is a strong presence of aerospace and science-related industries growing in the region. Bristol is a dynamic city with a constantly evolving housing and commercial sector. Pestbusters are well placed to deal with any pest control issues that may arise in the city and our specialist team are often consulted for their expertise in eradicating pests from domestic and commercial properties in the area. Over the years we have helped many customers in Bristol. If you are based in and around areas such as Clevedon, Portishead, Thornbury, Keynsham, Newport, Bath and Chepstow and have identified a pest infestation in your home or business then we can help you eradicate the problem. Our expert team of pest control specialists, the very latest equipment and tried and tested pest control products and methods allows us to provide a comprehensive pest control and rodent control service throughout Bristol and the surrounding areas. Contact us now on 08000 35 1000 and speak to one of our specialist team.